As winter tightens its grip on New England, what better place to spend a cold, windy day than the New England Aquarium! With thousands of animals to see and different exhibits to explore, it’s the perfect place to slow down and pretend it’s almost springtime. While some of the larger animals instantaneously grab your attention (Myrtle comes to mind), take a closer look and you might discover some smaller, but no less amazing, animals. Not sure where to begin? There's a treat flitting around the seahorse exhibit on the third level of the building! Can you find the trunkfish in the seahorse exhibit? Right around the corner from the seahorse exhibit is a tank with a slanted top. 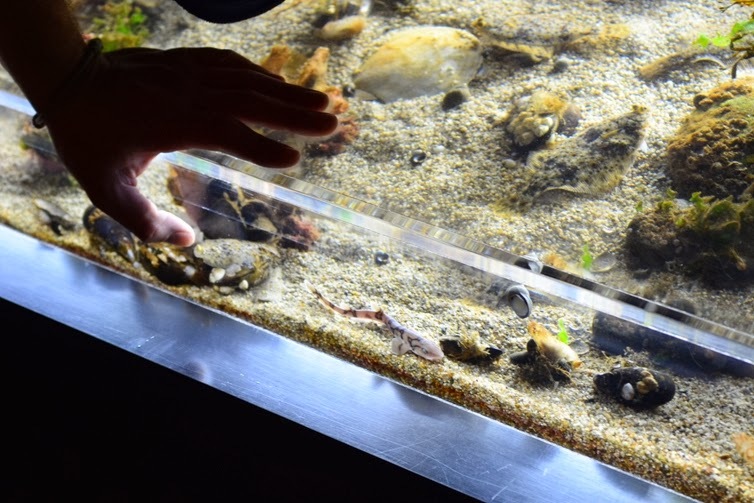 Located in the Edge of the Sea touch tank area, this exhibit showcases local New England animals that are too small to interact with visitors. 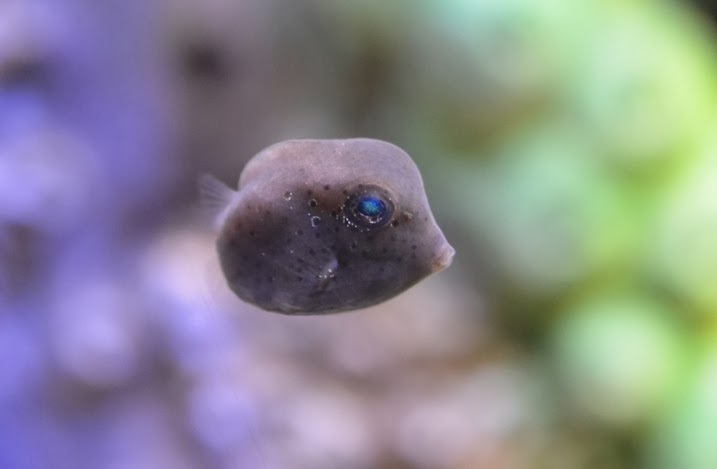 It’s a fantastic way to see juvenile flounder, tautog and skates swim along the sandy bottom. 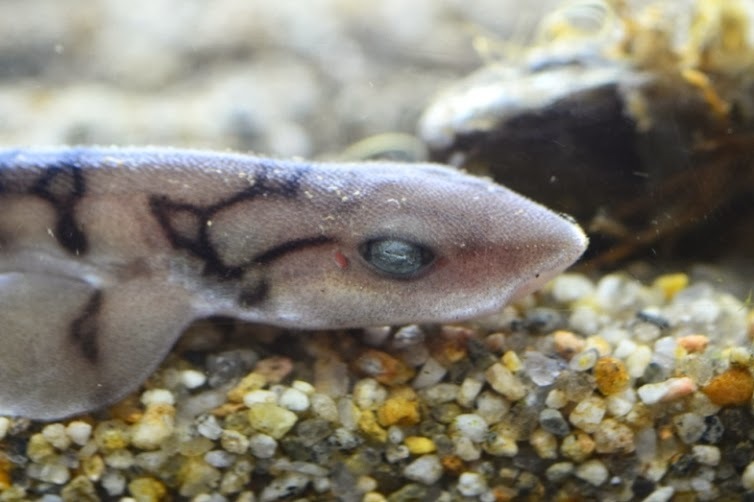 Also located in this exhibit is a native shark species! Can you find the juvenile shark? Look closely and you can see the spiracle located behind the eye. 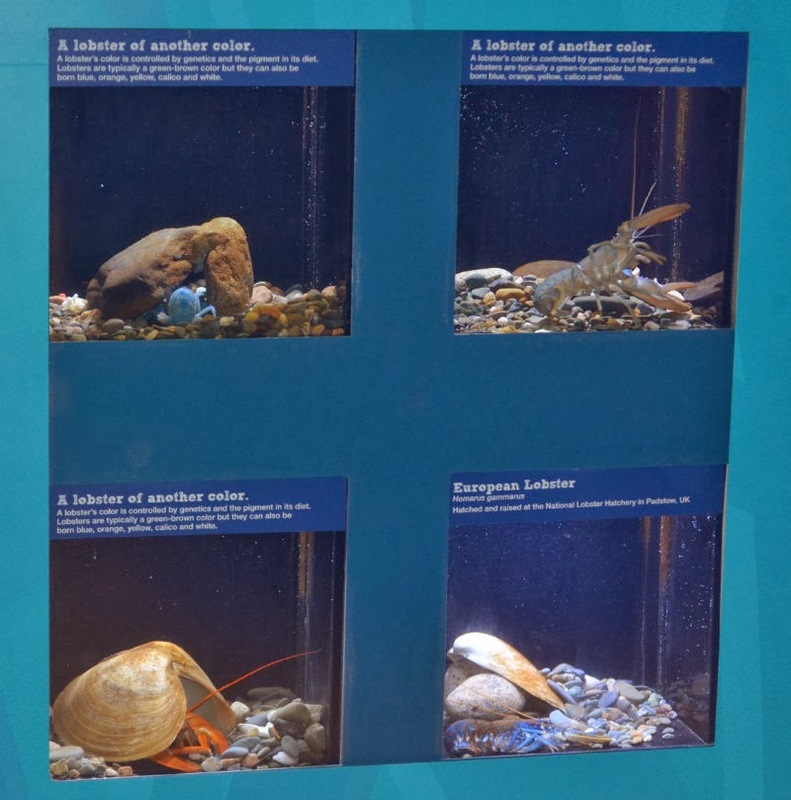 Located on the first level of the building, the lobster nursery showcases the hard work Aquarium researchers put into learning more about one of New England’s most iconic creatures. 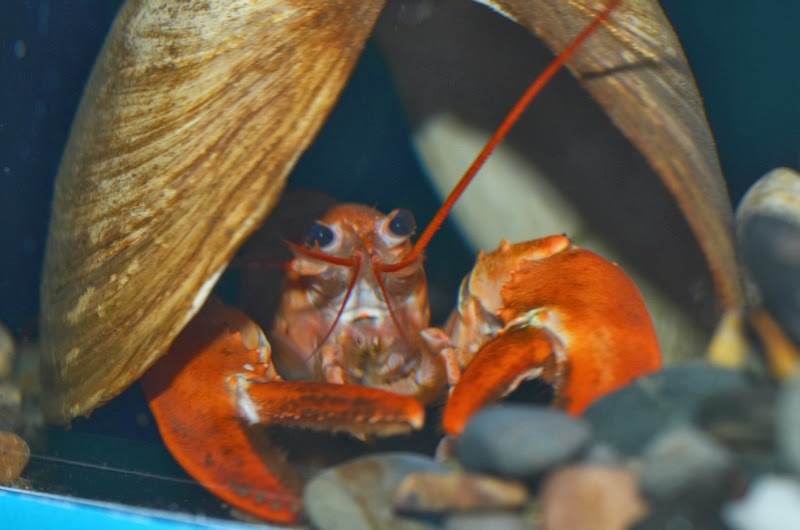 By hatching and growing lobsters, researchers can examine shell growth and what impact diet has on their color and development. Take a closer look and you’ll see a number of uniquely colored lobsters here, including a small orange one hanging out in a favorite hiding place. 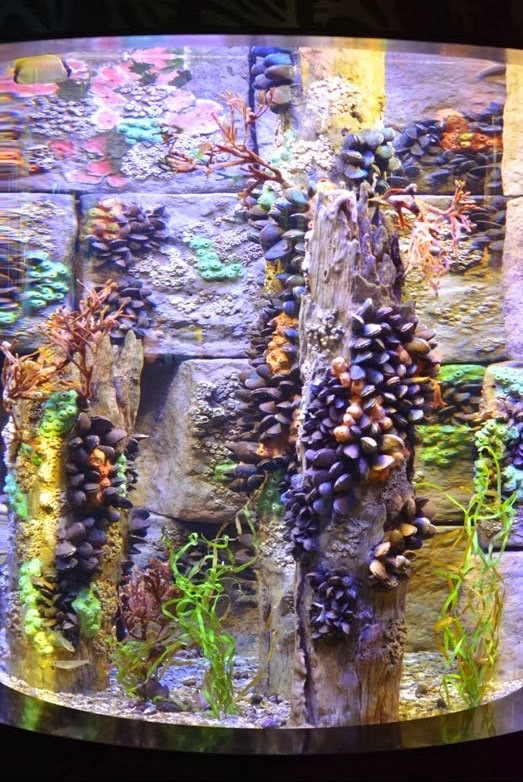 The Yawkey Coral Reef Center, on the fourth floor of the Aquarium, highlights all types of animals from the Bahamas. 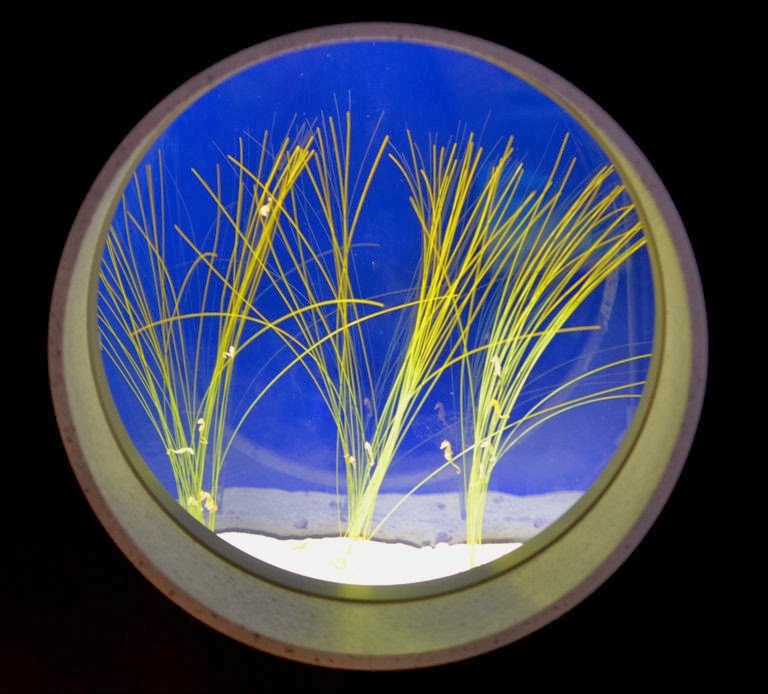 Look closely in the circular tank with long sea grass habitat, and you’ll discover one of the Aquarium’s smallest inhabitants-the dwarf seahorses! The dwarf seahorse (Hippocampus zosterae) is one of the smallest seahorse species in the world! 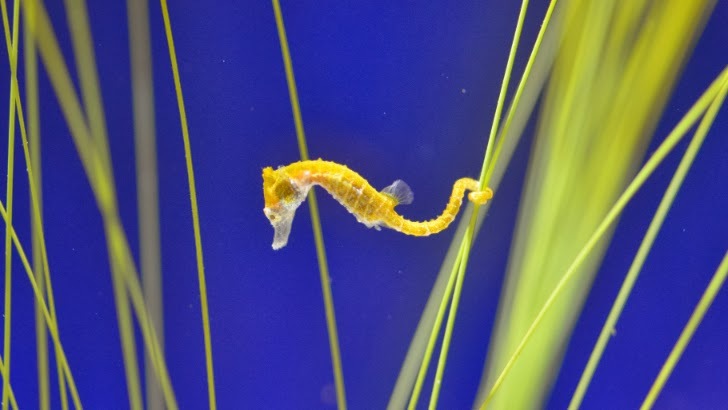 Only growing to a maximum of two inches long, these small seahorses utilize sea grass beds as a habitat, using their flexible tails to hold on against the currents. Like their larger cousins, dwarf seahorses are lie and wait predators, waiting for a small copepod to swim by before they pounce, quickly sucking the food through a trap door at the end of their snout. If they are this small, imagine how small their prey must be! So as the snow falls and the winter trudges on, visit the Aquarium. Take your time, look closely for the small animals that call Central Wharf home and enjoy some time out of the cold...before the next snow storm descends!